Studies show that exercising regularly improves sleeping pattern especially for people suffering from sleep disorders like insomnia. Exercising releases hormones that reduce stress. Most people having trouble sleeping are those who are suffering from anxiety or stress. This is one of the many connections of exercise and better sleeping. As much as possible, be consistent with the time you go to bed and the time you wake up. Make a bedtime ritual; take a warm shower, play your favorite comfort music, or read a chapter of a book before sleeping. If you do these rituals before you go to bed every night, they would signal your body that it’s time to sleep. Set a reminder on your phone to remind you that it’s time to call it a day. Sometimes you get too busy that you lost track of time. Forgetting to be in bed for a certain time consistently contributes to an erratic sleeping pattern. When it comes to going to bed and getting up, be consistent. Make it a habit. Make yourself comfortable so it’s easier to fall asleep. Set the temperature you like, wear comfy clothes, play the music that you find relaxing, turn off the light or set it to the right brightness, and choose the right mattress and pillows. For the best kind of pillows, consumers recommend this site. If you’re not comfortable enough, you will find it hard to fall asleep. Getting the right kind of sleeping environment helps you get a better night’s sleep. It will bring your mind into the “relax mode” instantly. Turn off your television, your laptop, your phone, or gaming gadgets an hour before your set bed time. This will also help relax your mind as you will not be thinking about work, or be exposed in the news, media or games. If you want a good night’s sleep, disconnect. There are many other ways you can try to help you get the sleep that you have always longed for. Some people diffuse their favorite scents, turn on music or shut off depending on their preferences. Some leave the light on while others can sleep better in total darkness. How about you? 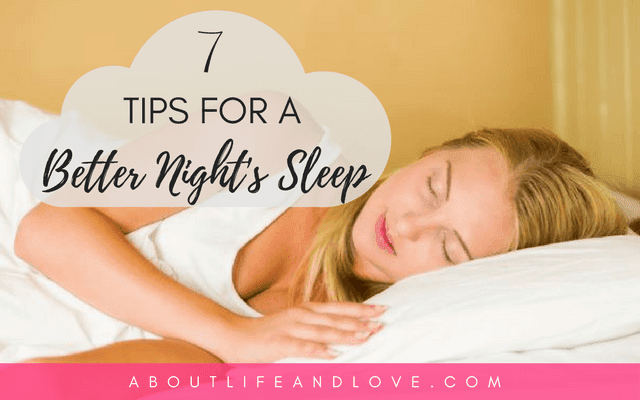 Do you have tips for a better night’s sleep? If you’ve got even the slightest interest in the beauty industry, then you’ve probably heard all about the latest trend that’s sweeping NYC- waxing and sugaring? But what exactly is waxing and sugaring? In short, it’s an ancient hair-removal practice that’s quick, painless, and leaves your skin looking and feeling amazing! If you’d like to experience all the benefits that waxing and sugaring can bring, then it’s time to get down to Golden Apple Spa in New York. As beauty experts with some of the lowest prices in NYC, you can be sure you’re in safe hands with their waxing and sugaring treatments. Why not book an appointment today! This article was made possible by a site supporter and may contain affiliate links. Dear Lux, An excellent post here. I appreciate all the tips and especially the one about putting the devices away about an hour before bed time. I need to work on that one! :-) I hope all is well with you my friend! Very best regards from Seattle! I need all of these tips. Sleep is really a big trouble for me. Thanks for sharing. Great tips here, Lux! Thanks for sharing!